We will issue an RMA for warranty units and ship a replacement via Ground once the unit(s) in question have been shipped back to us. Customer will pay for shipping if they choose to have the replacement sent faster than Ground. International customers (customers outside of the United States) will be responsible for any and all shipping costs. We do not currently offer any Advanced Replacement options. If you have any questions or concerns, please contact us. Due to the nature of what we sell, all sales are final. We stand behind our products 100% and have a 60 day warranty to provide you with ample time to ensure that your replacement SPS, hard drives, or other storage and networking products are working. In the event that we make an exception and issue an RMA for a non-defective product return, we will charge a 25% restocking fee. No shipping fees will be refunded, and the customer is responsible for return shipping costs. Additionally, all approved returns must be shipped back within 7 days of the approval date. Any shipments posted more than 7 days after approval date will result in no refund being issued, and the cancellation of the RMA approval. With all SPS units sold, we provide a pre-paid shipping label and require the return of the unit being replaced, for recycling. In the event that a unit is not returned within two weeks of receiving the SPS ordered, we reserve the right to charge a $250 fee. 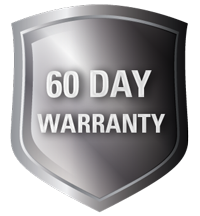 Additionally, there is only a 60 day warranty coverage on an SPS product when the unit being replaced has not been returned; we upgrade the warranty to a full 1 year warranty when the bad units are shipped back to us via the pre-paid shipping label we provide. With all Dell EqualLogic units sold, we provide a pre-paid shipping label and require the return of the unit being replaced, for recycling. In the event that a unit is not returned within two weeks of receiving the controller ordered, we reserve the right to charge a $400 fee. Additionally, there is only a 60 day warranty coverage on a controller product when the unit being replaced has not been returned; we upgrade the warranty to a full 1 year warranty when the bad units are shipped back to us via the pre-paid shipping label we provide.